You are here: Home / Elections / Does Hawley hold McCaskill to same tax return standard as Trump? 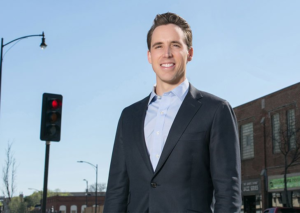 Does Hawley hold McCaskill to same tax return standard as Trump? Missouri’s two main U.S. Senate candidates have released their 2017 tax return information. Republican Josh Hawley wants his Democratic opponent, incumbent Claire McCaskill, to release her husband’s tax records from last year. Hawley would not go as far as saying his call is a double standard, since President Donald Trump, has not released any tax information. Trump is backing Hawley in the U.S. Senate race. Hawley says McCaskill should “come clean” with Missouri’s voters. 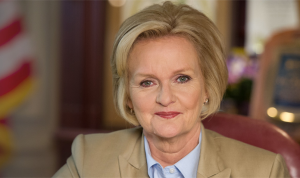 Roll Call lists McCaskill as the 24th wealthiest Congressional member with much of her money coming from her husband, Joseph Shepard, who is a housing developer. Hawley says McCaskill’s husband has reportedly invested in offshore hedge funds to avoid paying U.S. taxes. He says he wants more information about $131 million in federal subsidies reportedly awarded to businesses connected to Shepard. There does not appear to be evidence that McCaskill helped her husband get the funding. Hawley’s tax information says that he and his wife made a combined total just shy of $300,000. McCaskill’s tax return which is filed independently of her husband’s, shows her salary as $174,000 and another $85,000 in pensions and annuities.